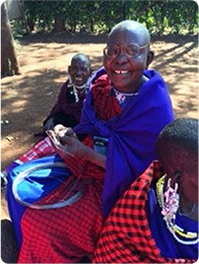 This year we're celebrating our 35th year of helping practitioners change lives through vision. We've come a long way since 1981 and we've seen a lot of advances in that time. 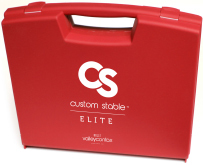 In this issue of Custom Stable Spotlight we wanted to highlight some of the distinct technologies that have helped transform Valley Contax and make the Custom Stable possible. Materials have come a long way over the past 35 years. 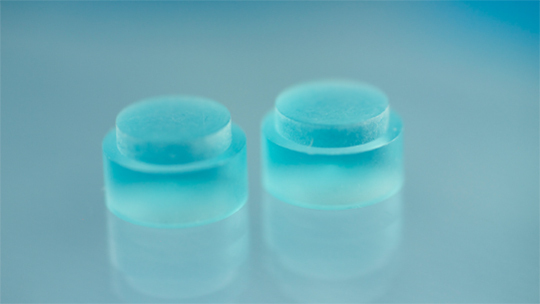 When we started making lenses Polymethylmethacrylate (PMMA) was one of the only materials available as the development of gas permeability was still in its infancy. During this time there was very little oxygen permeability in contact lens materials. Today, materials have advanced dramatically-they're highly oxygen permeable, are extremely wettable and allow for much more precise manufacturing. With these new materials our Custom Stable line of lenses provides all-day comfort of 12 to 14 hours. In 1981 lathing contact lenses was more art than science. Lathe operators had to dial in parameters by hand. This made reproducing the exact same lens at a later time extremely difficult. 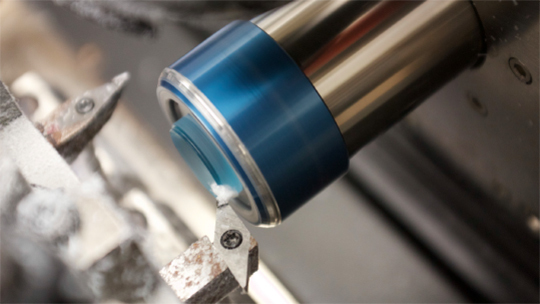 Today we utilize precision air bearing spindles and computerized lathes that make precision cuts every time and allow for replicating lens orders precisely. We also utilize lasers to engrave lenses for our diagnostic sets. This makes it easy to identify rotation, scleral zones and fitting set parameters. Before we had access to the internet, training practitioners how to fit lenses required travel and face-to-face training. Today we offer the Custom Stable Training Course on our website. This is a very concise and thorough 17-minute video that covers everything a practitioner needs to know in order to fit our Custom Stable lenses. The course also includes a short quiz which when passed entitles the user to a discounted fitting set and certificate of completion. Ordering lenses has come a long ways as well. While fax and phone orders carried the load in decades past, today many of our clients are placing their orders online via our WebRX online order system. With the ability to quickly place orders, search past orders and view tracking and status info, this system makes a huge leap over phone and fax. In addition, many of our customers are going a step further when it comes to going paperless as we've recently introduced eStatements and electronic bill pay. With the assistance of the The Oregon Sight and Hearing Foundation(a project of the Lions Club) and many other groups which help to collect 'old glasses', students and doctors are able to examine & dispense glasses to those who would otherwise not have access to medical eye care and vision services.